The Girl Who Fell from the Sky | Inspire One. 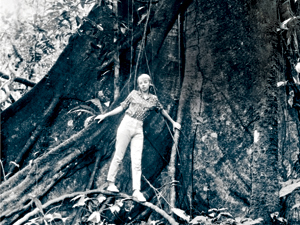 Juliane Koepcke grew up in Lima, Peru, before moving, at 14, to the Peruvian rain forest, where her parents, Maria and Hans-Wilhelm Koepcke, established the Panguana Ecological Research Station. After two years of accompanying them on research trips into the jungle, Juliane returned to Lima to complete high school.